Helping you to keep in shape and to relieve pain following exercise, the Compex Fit 1.0 Muscle Stimulator includes 10 individualised programs that allow you to firm up your arms and abs, build up your pecs and biceps and shape your stomach and buttocks as well as giving you a relaxing post workout massage and featuring a pain management system that will help if you are returning from injury. Just 20 minutes of use per day will help to dramatically improve your health, fitness and well-being. The Compex is used by many of the Premier Leagues leading football clubs including both Manchester clubs and Chelsea FC. 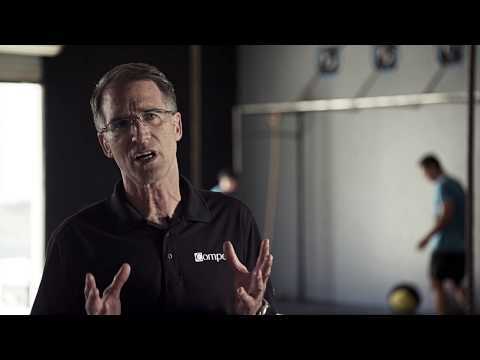 Designed to be used by health and fitness fans who train and practice one to two times a week, the Compex Fit 1.0 Muscle Stimulator features 10 programs that allow you to focus on a number of different muscle groups individually. Helping you to stay in shape, it is ideal for use before, during and after training, to both warm up and cool down and help to get blood flowing to your muscles and around your body. If you regularly exercise or take part in sports a couple of times a week, the Compex Fit 1.0 Muscle Stimulator is the perfect addition to your fitness routine. As an advanced muscle stimulator it is perfect for use during your warm up - to stimulate blood flow - and is equally as useful after training to give yourself a relaxing massage and alleviate the build up of lactic acid. 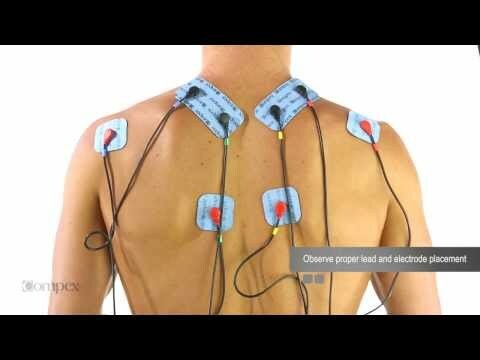 If you are suffering from an injury and want to reduce pain levels, the Compex Fit 1.0 has an in-built TENS machine that will block pain signals and aid you in your recovery. Check out YouTube for many more videos & advice on electrode placement, and tutorials for how to get the best out of your Compex. Complete with a soft travel pouch, 2 bags of Snap electrodes 5x10cm and 2 bags of Snap electrodes 5x5cm, the Compex Fit 1.0 Muscle Stimulator also has a battery that takes less then 4-and-a-half hours to charge, so its easy to keep it plugged in over night and wear it when you go out for your morning run. Alternatively, you could leave it on charge at home and use it as soon as you get home from work, or even use it at work to keep your muscles trim even when you're not at the gym. 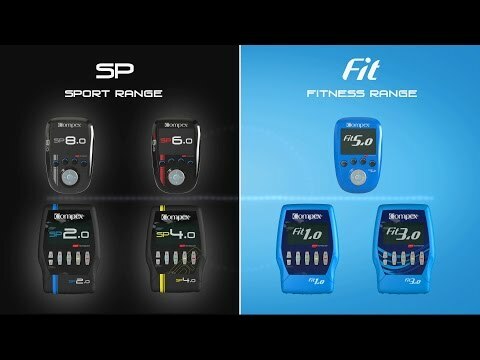 Compex Fit 1.0 Muscle Stimulator - Home Rehab Recovery, Muscle Toning is in stock and available for immediate dispatch from our Warehouse facility in Lancashire, UK. Orders placed by 4pm Monday to Friday (excluding Bank Holidays) are dispatched the same day. If you need your Compex Fit 1.0 Muscle Stimulator - Home Rehab Recovery, Muscle Toning in a hurry, next working day delivery is available for UK mainland addresses.